Earthing is the practice of placing your bare skin in contact with the earth – like walking on the ground. It is also called “grounding” as you are releasing free, charged electrons into the solid earth. We use the practice of grounding when plugging in electrical appliances. The grounding plug has a third prong which connects to a wire that is grounded to the earth. This allows for any excessive energy or spikes in electricity to be harmlessly discharged into the earth. When appliances are not grounded, they can collect the charged energy and break down or even explode. The same is true to some extent with humans. You are obviously not likely to explode but built up energy within our bodies that is not discharged can cause physiological damage. A lot of focus has been placed on preventing or treating damage caused by “free radicals.” Free radicals are positively-charged particles that are built up in our body. Everyone has free radicals in their body, causing damage on a minute-to-minute basis. They contribute to aging, inflammation, disease, organ damage, possibly even to cancer. Many attempts have been made to find a cure or to reverse damage caused by free radicals – mostly by the use of herbal and nutritional supplements. Before modern times, we did not need to address free radical damage – or “oxidative stress” which occurs when free radicals interact with body cells and tissues. One reason is that before the widespread use of rubber and plastic for our shoes, clothing and household flooring – we were in constant contact with the earth. We walked barefoot, slept on the ground – and bathed in a naturally occurring body of water. This allowed us to discharge excess energy any time we touched the earth. Today we work around electric appliances and electronic gadgets – often spending an entire workday literally attached to a computer, tablet, bluetooth gadget, or wireless phone. Then we wear vinyl or rubberized shoes, walk on carpet or composite flooring and wear synthetic materials which all function as insulators – keeping the positively charged energy within our body. How long has it been since you slept on the ground or even walked across the lawn barefoot. The answer is most likely “I don’t know.” All of this time, your body has been hosting a tremendous amount of excess energy storage leading to free radicals which scavenge electrons from your body’s cells. This causes “aging” which is a natural occurrence but it also causes inflammation, disease, pain and can even contribute to cancer. 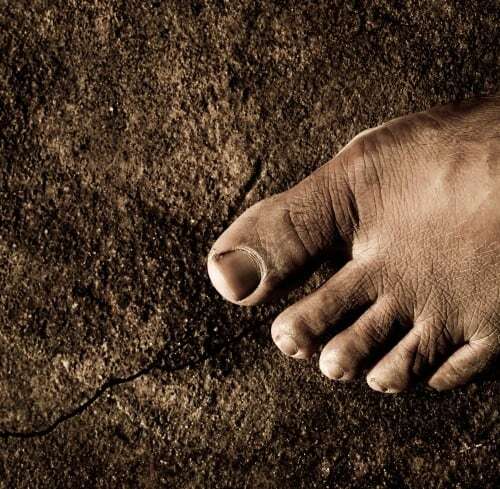 Grounding or earthing can be done by walking on the Earth barefoot – but you can also do it in your house. How you ask? Earthing mats are the answer. An earthing or grounding mat is a sheet that is constructed with conductive fibers that allow the transfer of energy. A cord is connected to an electrical outlet to “ground” the sheet or mat. As you stand, sit, sleep or even touch it – your positively charged energy is drained into the mat which then drains out through the grounded outlet. This is exactly the same as your appliances transferring excess energy into the grounded outlet to prevent damage. Reduction of blood clots – blood clots naturally as a protective mechanism but can be dangerous if it is happening internally. Blood cells or platelets begin to bump together and form a clump or clot when they bump together and transfer energy. This is a much more frequent occurrence if there is extra electrical charge in the system. The platelets will absorb the energy and transfer it to the next platelet. The more energy is exchanged, the greater the likelihood that the platelet will stick to its neighbor and form the foundation of a blood clot. While blood clotting in the case of an injury is good, the development of internal blood clots can pose severe risks including heart attack, strokes or pulmonary embolism – all of which can lead to death. Earthing doesn’t stop this risk – but over time, it makes it less likely. Inflammatory diseases – arthritis, lupus, psoriasis, irritable bowel syndrome and many other diseases are caused by increases in inflammatory processes. Essentially because the body system is inflamed, the immune system “attacks” that area – such as the joints, the skin, the gastrointestinal system and even vital organs such as the heart, liver and kidneys. A trigger for inflammation is the presence of excessive numbers of free radicals. If grounding can eliminate a large number of those free radicals, we may see a decrease in those types of illnesses. Headaches – headaches can be caused by a number of things including things like excess tension or stress, immune system functioning, poor metabolic status. Excessive electrical charge keeps the body in a state of stress, triggers the immune system to overwork and burn out, and messes with a lot of endocrine and hormonal systems. The brain is the most sensitive organ to attack and can easily be damaged. If you can prevent the damage, you may see a decrease in the number of headaches. Chronic Stress and Fatigue – just as keeping a muscle tight and contracted would eventually wear out the muscle, excessive energy keeps the cells in a heightened state of awareness. Over time, this leads to burnout of many body systems and creates a vacuum where there isn’t enough appropriate “reaction” to normal circumstances. The mood level may decrease and a person ends up feeling run down. This can lead to other illnesses as well if your body isn’t able to respond appropriately. Insomnia – oddly, even though you are fatigued, you can also have trouble sleeping. Insomnia can be caused by the brain’s inability to “shut off.” If you have excessive energy pinging around in your brain, it keeps the brain cells activated and unable to sleep. This will eventually create fatigue both mentally and physically. Grounding through the use of earthing mats or sheets allows for a slow draining of excessive electrical charge. If done on a regular basis it can decrease the inflammatory processes so that the body can begin to repair itself. Standing, touching or even sleeping on an earthing mat can improve sleep in the same way that walking barefoot on the beach can be relaxing and quiet the mind – grounding will. Earthing mats are available in under-desk and desktop forms – as well as some that are designed to be slept upon. Like many alternative healing and preventative treatments, there isn’t a lot of “recognized” scientific proof. This is not because it doesn’t work – but because no research institution wants to ask. If the answer were “officially” positive – how would the drug companies justify spending billions on prescription medications to treat arthritis, anxiety, insomnia, mood disorders and chronic pain. Even though traditional medicine does not recognize earthing as an official treatment, users of grounding mats swear by the practice. Melissa Lind holds a degree from the University Of Texas College Of Pharmacy and has over 20 years of experience in the healthcare field including pharmacy practice, clinical research and community college instruction. Melissa has been freelance writer and health-blogger, specializing in health and lifestyle topics since 2006 and has been published on sites such as eHow.com, Livestrong.com and Livewell.com.